« Mike Malloy’s Who Was The Rider On The Rain? Last night I had dinner with an old friend, James Hong, we were talking and I mentioned the great camerman James Wong Howe, James Hong told me he was friends with James Wong Howe and what a struggle it was for him to become a cameraman in Hollywood. 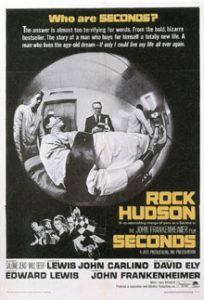 I was reminded of Seconds, a crazy film Howe shot for the great John Frankenheimer so here is the trailer. Check out Sweet Smell Of Success to see more of the camerwork of the great James Wong Howe.